Lake Taupo within 100 metres of your front door. 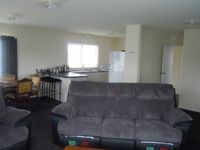 Property 13: Lake Taupo within 100 metres of your front door. Property 21: Cosy cottage only a short walk to town centre. Property 42: Free WiFi, Cleaning and Linen. Warm and Comfy.